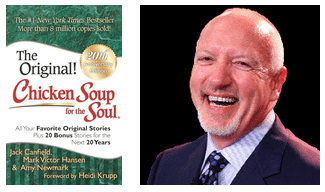 Mark Victor Hansen is probably best known as the co-author for the Chicken Soup for the Soul book series and brand, setting world records in book sales, with over 500 million books sold. Mark also worked his way into a worldwide spotlight as a sought-after keynote speaker, and entrepreneurial marketing maven, creating a stream of successful people who have created massive success for themselves through Mark’s unique teachings and wisdom. With his endearing charismatic style, Mark captures his audience’s attention as well as their hearts. Having spoken to over 6,000 audiences world-wide with his one-of-a-kind technique and masterful authority of his work, time and again he continues to receive high accolades from his audiences as one of the most dynamic and compelling speakers and leaders of our time. Mark’s energy and exuberance travels still further through mediums such as television (Oprah, CNN and The Today Show), print (TIME, US News & World Report, USA Today, The New York Times and Entrepreneur) and countless radio and newspaper interviews as he assures people everywhere that “with the right principles and mentors, you can easily create the life of your dreams.” He has been in two movies—A Fuller Life—the story of Dr. R. Buckminster Fuller and The Shadow Effect with Debbie Ford. He was the host of two top TV infomercials. The wisest man of all time, Solomon said: “Without vision people perish,” Mark says: “With vision people, companies, and associations flourish, grow, expand and vastly improve immediately!” Mark enlightens his audience about achieving the qualities of limitless vision to achieve their ultimate potential, creating practical, measurable progress by elevating everyone’s successes. Mark understands from leading his own empires, that the gold standard of leadership is leaders that consistently and effectively re-invent themselves and their organizations. He inspires everyone to fulfill their destiny and fully utilize their potential, starting by overcoming all obstacles, challenges, and resistance. One must master the fine art of self-leadership, so they can lead all others. Mark discusses the principles that work and are time tested and those that don’t work in business and in life. Attendees quickly take ownership and mastery of the four great principles of leadership. He will show that all great leaders are focused. They are insistent, consistent, and persistently passionate and purposeful. 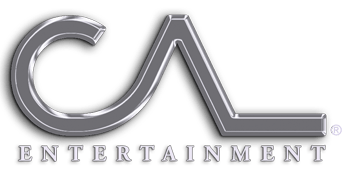 Mark has proven to audiences worldwide, that every person can foster and embrace a magnificent obsession to achieve beyond their limitations, no matter what. America’s success depends on your success. A successful country starts with independent, successful individuals who are groomed and inspired to lead. Success is organizing, prioritizing, and orchestrating macro to micro-goals and accomplishments. We must recognize our role individually and collectively to serve greatly the total world population of seven billion. The business of America is business. With massive innovation and marketing we can, again, create a super strong economy. Mark delivers seven principles to get America going and keep it going. As Mark has traveled around the world, he has found everyone, everywhere wants to sell into our market, yet American’s are here are under-served and can easily and profitably sold to. Mark will make what is invisible—visible—that which is hidden in plain sight. He brings to audiences the ultimate roadmap to the riches and potential that can be had achieved by focusing on the proper principles. He shows how to do that right here and right now; in the most affluent country in the world, America. Mark teaches that selling in today’s world requires a completely new understanding if you’re going to do it successfully. Raving buyers are the lifeblood of sales. Sales are the lifeblood of business and the lifeblood of America. Every relationship depends on a successful “sale” of ideas/information, values, services, benefits, or products. Mastering the comprehensive awareness of leading edge thinking. Growing your fanbase through niche marketing. Delivering two minute irresistible presentations. Selling isn’t about hawking your products, but instead about creating relationship equity with people who will joyfully be a dedicated fan and user of your products for a lifetime. This experience with Mark will elevate your thinking and techniques in sales to levels you couldn’t have imagined were possible. With Mark’s vast experience working with audiences and people around the world, he believes that everyone has a soul level need to contribute and give back; thus, creating legacy wealth and a heritage worthy of remembering. Whatever is given comes back multiplied, magnified, and magnetized. He teaches that social entrepreneurship signals the imperative to drive social change, and it is that potential payoff, with its lasting, transformational benefit to society, that sets the field and its practitioners apart, opening gateways to a much bigger global presence for every business.